Volvo Car UK has opened its advanced new Training and Development Centre, which will provide training for the brand's retailers, head office staff and supplier partners across the UK. The new centre, based in Daventry, Northamptonshire, is the result of a £6 million investment by the company. Replacing the 35-year-old original site, it brings Volvo's UK training offering in line not only with the firm's status as a fully-fledged premium brand, but also the technologically advanced nature of its latest products. Each year, thousands of people from Volvo's network will use the site's advanced 16-bay vehicle workshop, spacious auditorium and classroom spaces which feature remote video and web-based technologies that support off-site and online training. Training opportunities will range from the mechanical to the digital, with the centre equipped to cater for Volvo's rapidly advancing prowess in technologies such as electrification and autonomous drive. The design and operation of the facility also reflect two initiatives that are currently being introduced to Volvo's retailer network: Volvo Retail Experience (VRE) and Volvo Personal Service (VPS). VRE introduces a new design based around Scandinavian-inspired values of calm, clean lines with 'cool on the outside and warm on the inside'-style architecture. It aims to create an environment for customers in which high levels of visual transparency are key. Large exterior and interior glazing allows customers to see all activity in the new workshops, which is fully replicated in Daventry. 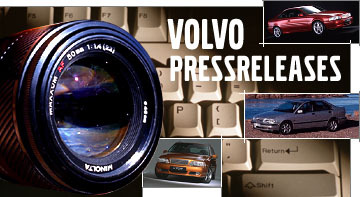 VPS, meanwhile, embodies Volvo's philosophy of putting the human at the centre of everything it does. It streamlines aftersales functions to improve workshop efficiency, while delivering a more personal service to Volvo customers via a dedicated service technician. Jon Wakefield, Managing Director of Volvo Car UK, said, "I'm very proud of our new training facility, which represents a significant commitment to both our operations in Daventry and our retailer network throughout the country. "The site is a fitting accompaniment to Volvo's transformation into a true premium car brand that is a technological leader, as well as the big improvements we are introducing to the customer experience." Volvo's transformation has seen the launch of the new XC90 and XC60 SUVs, S90 saloon and V90 estate over the past two years. It is already hosting training courses for the new XC40 premium compact SUV, which will appear in UK retailers early in 2018. 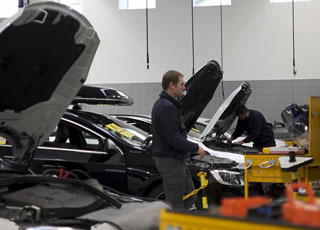 The opening of the new facility also comes after Volvo announced an initiative to recruit 300 new technicians to its retailer network by 2020.